I am going through an 'I want to read everything' period. Hopefully I can settle in with a book soon! That book is on my TBR list. I hope you’re enjoying it. I'm less than 100 pages in so far, but most definitely enjoying... Although a slower sort of read for me. Unique writing style. I love that title! It's new to me. And how exciting for rearranging your shelves! 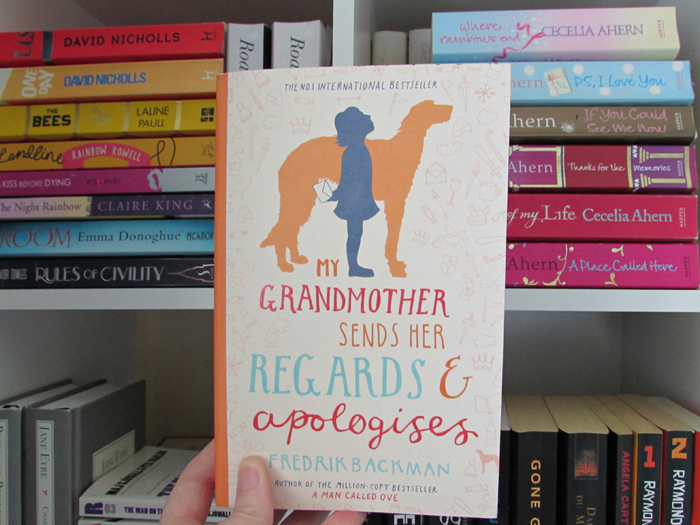 It's an intriguing title - that's how this book landed on my shelves; the title grabbed me on another blog! Oh what a beautiful and I must say enticing cover, hope you are enjoying it. I quite agree, Kathryn. I'm enjoying it so far, although reading it a little slower than I expected. Your bookshelf looks magazine chic! How lovely to have a bookshelf to fill up with beloved books. I started The Invisible Library, a book that I've heard good things about. I was on the hold list for a while and now I get to read it. Haha - thank you! I hope you enjoy The Invisible Library; I've heard some mixed things about that title, but it's on my radar too! I'm curious to hear about your book organization. I'm in the process of paring down and trying to decide which books I really want to keep. Decluttering our bookshelves can be quite the task! I didn't actually get rid of any books this time, but the rule I tend to follow is that I keep a book if I intend to reread it in the future. I've found that to really help me keep down my book collection - because it can so easily get out of control! Good luck with your reorganise! Yes - I had a lot of fun! I hope you have a great week - reading, and otherwise!